Edinburgh is home to many modern architectural masterpieces but it is also home to many spectacular historical buildings. 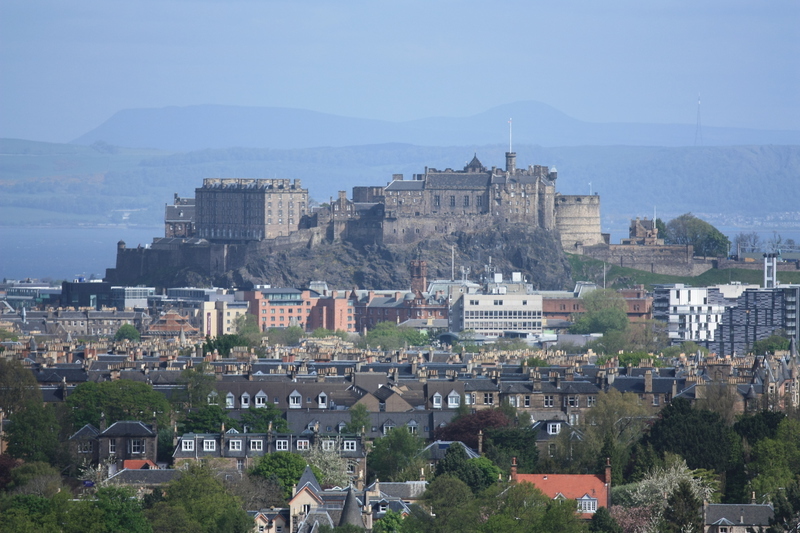 The medieval fortress dominates Edinburgh’s cityscape and can be seen from most parts of the city due to its location on the Castle Rock. It served as a royal residence from 12th century until the unification of England, Scotland and Ireland under James VI, King of Scotland in 1603 although was at the time occupied by the military rather than royalty. Unfortunately, little of the medieval structure survived because the castle was involved in a number of military conflicts until the Jacobite Rising in the mid-18th century. The exemptions are the Great Hall, St Margaret’s Chapel and the Royal Palace. Today, the Edinburgh Castle is open to public as a museum but a part of it is used by the British Army. The military presence, however, is mainly a formality. Like its name suggests, the Scottish Parliament Building is home to Scotland’s Parliament. Located within the Edinburgh’s UNESCO World Heritage Site, the building is a modern construction. Designed by Catalan architect Enric Miralles, the Scottish Parliament was built between 1999 and 2004 when it was formally opened by Queen Elizabeth II. Ever since the beginning of its construction, the Parliament Building was surrounded by a lot of controversy both for its cost which exceeded £400 million and the design. However, it received positive responses from the architectural community and won several awards including the Stirling Prize for excellence in architecture in 2005. Also known as the High Kirk of Edinburgh, the St Giles’ Cathedral is a beautiful 14th century church although much of its current interior and exterior dates from the 19th century when it went through an extensive restoration. The church is dedicated to Saint Giles, a popular saint during the Middle Ages and Edinburgh’s patron saint. It is still a place of worship but it is also open to visitors. The National Museum of Scotland building is a unique blend of historical and modern architecture. The construction started in the early 1860s but the building got its present-day appearance only in 2011. Just like the Scottish Parliament Building, the new National Museum of Scotland building caused a lot of controversy but its designers won the RIAS best building award, while the building was also nominated for the Stirling Prize.